Gum disease is a common condition from which many Americans suffer. More extreme versions of periodontal disease can even lead to losing teeth as gum weakens and are unable to hold teeth in place. In considering the option of dental implants for patients with gum disease, two important questions should be asked: First, are patients with gum disease good prospects for dental implants? Second, might patients suffering gum disease—and who have lost teeth due to that disease—be helped by dental implants? These are related, but different questions, and each deserves its own answer. Are Patients with Gum Disease Good Candidates for Dental Implants? The patients who are likely to be the best candidates for dental implants are in an excellent overall health particularly in oral health. A healthy mouth means a mouth with a strong jawbone and strong bone mass, which together will be able to support dental implants. Healthy gums are an important part of a healthy mouth—gums free from periodontal disease. Both healthy teeth and dental implants rely on healthy gum tissues, and any oral surgeon in Philadelphia or elsewhere who finds evidence of periodontal disease will treat it before proceeding with a dental implant procedure. Gum disease is the leading cause of tooth loss among Americans—but most people are unaware of that fact. If gum disease becomes sufficiently severe, receding or even separating from teeth, it may attack the bone where teeth roots are anchored, ultimately causing teeth to fall out. A patient with such extreme periodontal disease is not a good candidate for dental implants. Restoring gum and bone tissue is necessary first. But most people with periodontal disease are not suffering to that extreme degree. As long as your disease is treatable, there is a good chance that it will not take too long for you to become a good candidate for a dental implant procedure. 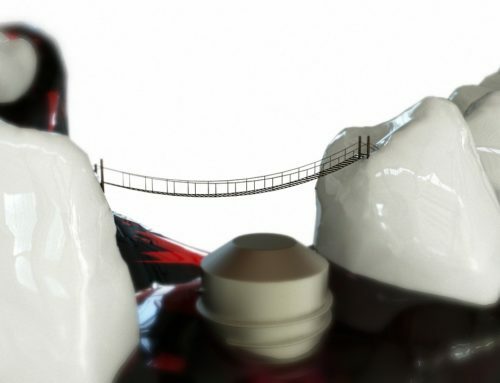 Can Patients Who Suffer from Periodontal Disease be Helped by Dental Implants? Admittedly, there is a bit of cart and horse with this question. Patients need sufficient oral health to be good candidates for dental implants, which usually means that their oral health is already strong enough for dental implants to be successfully implanted. But for patients who are prone to poor oral health, dental implants may provide some additional support for better oral health. Research shows that dental implants do not lead to increased risk of oral health issues, like gum disease. Rather, dental implants tend to integrate well with bone and gum in the mouth, and provide critical stimulus that prevent them from deteriorating. So, there is reason to think that dental implants can support ongoing oral health, helping patients combat such challenges as periodontal disease. These are also great reasons to consult with your Bala Cynwyd oral surgeon and find out if you are a good candidate for dental implants.